While I had out all the cute little embellishments that I crafted with yesterday, I decided to make another card with some coordinating products. 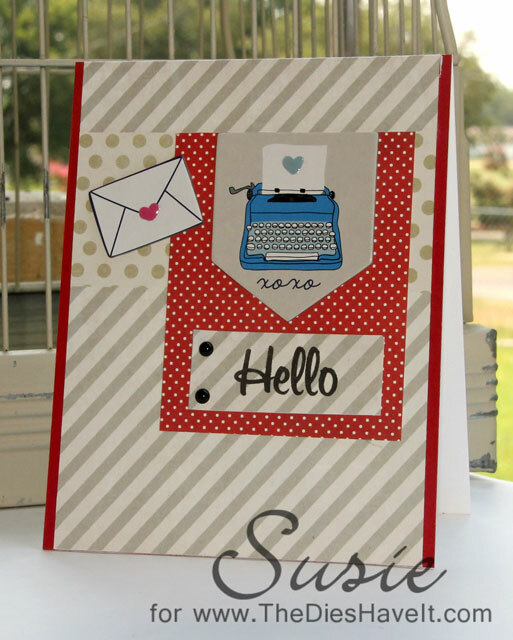 I just love this little chipboard typewriter! The envelope is chipboard too. I added a bit of Glossy Accents to each tiny heart and that made me even happier! Have a great Saturday and I'll see you tomorrow.